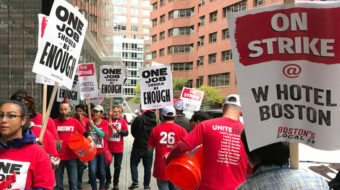 I knew we were on the right track when we had 23 hotels on strike in eight cities, and the strike vote came up in Seattle. 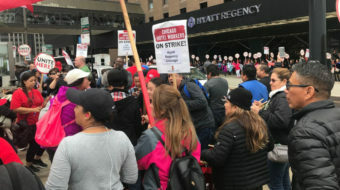 Cambria Hotel employees continue to rally outside the 166 East Superior Street location here, marking almost four months since the first strikers in Chicago hit the picket lines. 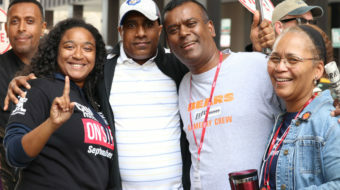 Some 2,500 workers at seven Marriott hotels here are celebrating victory after their hard-fought two-month strike against the giant hotel chain. 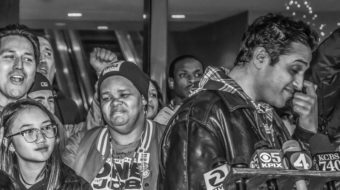 This may quickly become the largest multi-city hotel worker strike ever. 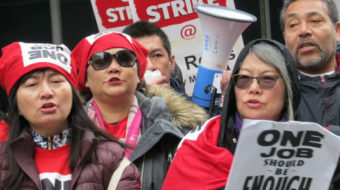 With summer fading and tourism season sizzling down, workers are hoping the remaining hotels will come to a collective agreement soon so that they can all return to work.